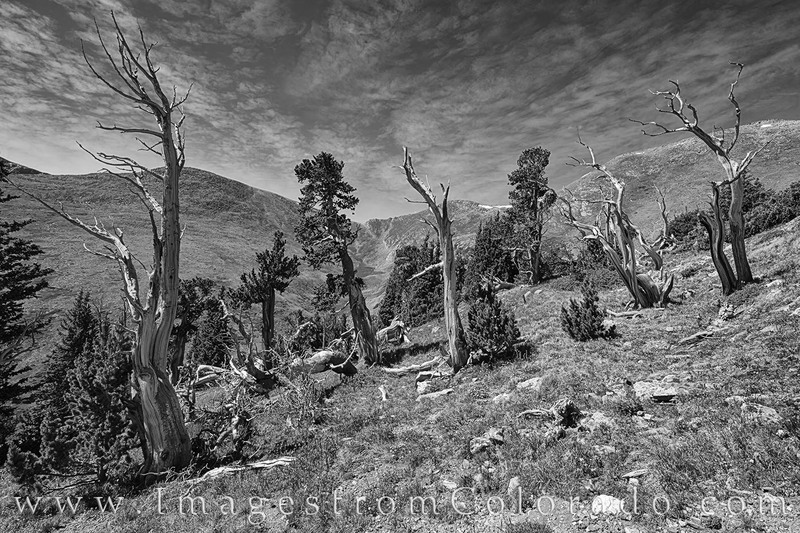 An area of bristlecone pines stands as sentinels - watchers of the way up to a ridge off of the Hell’s Hole Trailhead. From the ridge, both Sugarloaf and Gray Wolf Mountain (13ers) are accessible. Photo © copyright by Rob Greebon.